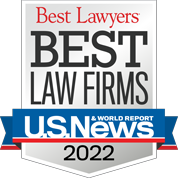 With more than 70 experienced trial attorneys and over 45 years of experience, the defense law firm of Wiedner & McAuliffe is poised to help clients solve complex legal problems and business disputes. We are dedicated to providing quality, focused, and cost-effective defense solutions and litigation strategies to clients in Illinois, Indiana, Missouri, Kansas, and throughout the Midwest in connection with workers’ compensation claims, employment matters, insurance coverage disputes, medical risk, industry-wide litigation, and other business disputes. We represent clients big and small from a variety of industries, including manufacturing, distribution, retail, insurance, construction, ground transportation, aviation, education, consumer goods, and health care.